When you’re setting up a large off-grid power system, you don’t just need inverters and batteries that are up to the task – you need cables that are as well. A set of 4/0 AWG inverter wires are the highest-capacity cables available at The Inverter Store for commercial and residential use. The larger diameter of the copper wires allows them to transfer 195 amps of current across short distances. As such, our 4/0 gauge battery cables can be used on inverters up to 5,000 watts with any voltage rating. And it also gives them built-in surge protection on smaller inverters! We offer a full complement of 4/0 inverter cable sets for use in your large-scale construction site, commercial vehicle, vacation cabin or business back-up power system. 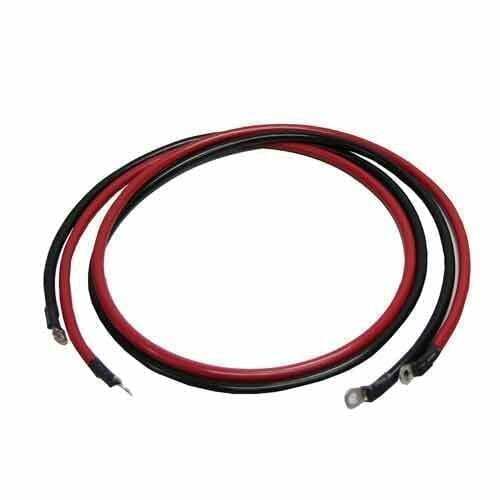 Lugged cable pairings, which include both a red positive and black negative cable, come in lengths from 1 to 20 feet. Order as many pairs as you need to connect every battery and inverter in your setup, whether you have one high-amperage battery or several smaller ones. 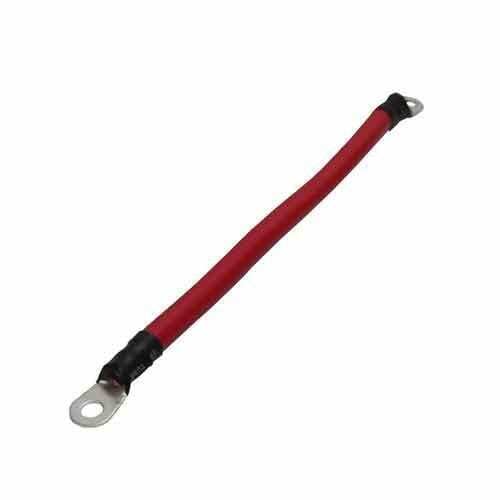 We also have single red battery jumper cables at 6 inches and 12 inches. These small cables are perfect for compact setups or for hardwiring an inverter to your deep cycle vehicle or marine battery. All of our UL 758 certified 4/0 AWG cables are built to last as long as your backup power system does – and maybe longer. The flame-retardant polyvinyl chloride wire jacket also protects against moisture, impacts, diesel fuel and other hazards. This jacket is also RT4 rated for flexibility, meaning you can bend and wrap it as needed to fit in tight spaces. And the wire is tested for up to 600 volts – that’s the equivalent of 12 48-volt batteries! If you have questions about these cables or anything else in our catalog, representatives from The Inverter Store are available via phone, email and live chat to help get you connected.